In 1788, the framers of the U.S. Constitution created three branches of the government: the judicial branch, the executive branch, and the legislative branch. To ensure that no person or group would amass too much power, the founders established a government in which the powers to create, implement, and adjudicate laws were separated. Each branch of government is balanced by powers in the other two coequal branches: The President can veto the laws of the Congress; the Congress confirms or rejects the President's appointments and can remove the President from office in exceptional circumstances; and the justices of the Supreme Court, who can overturn unconstitutional laws, are appointed by the President and confirmed by the Senate. The era of the Obama presidency is a scary one. The Democratic party has majority power stake in two branches and they are salivating for the third - the judicial branch. We have an activist president who is appointing activist judges and we are in danger of losing focus on justice. We need to make rulings, laws, and decisions on what fair and just; not on empathy and how to right past wrongs. 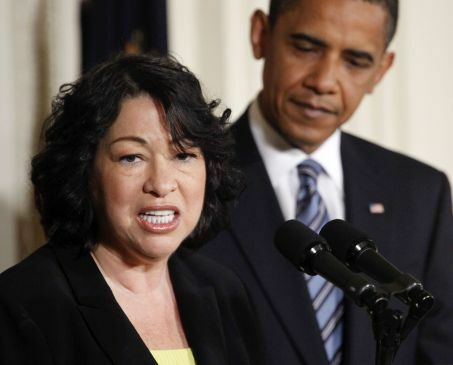 Read more from Charles Krauthammer's excellent position piece on Obama's appointment of Judge Sotomayer.